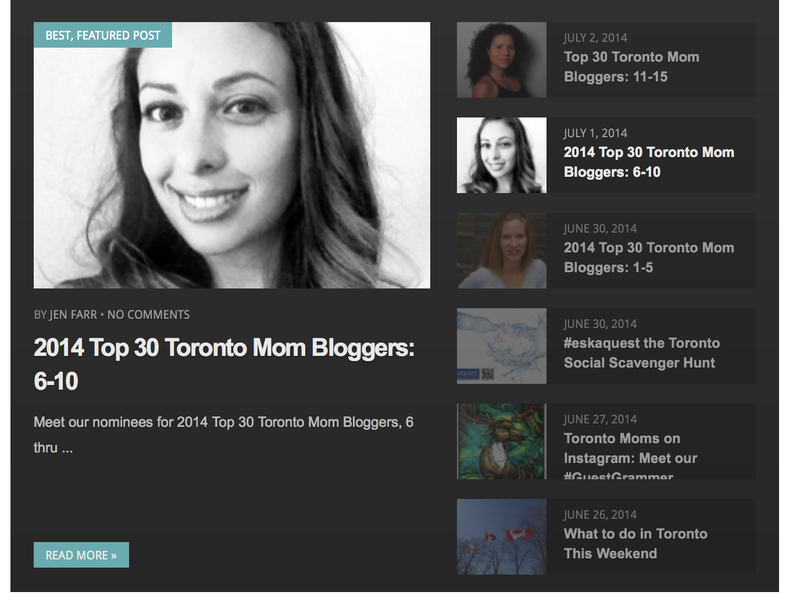 2014 Top 30 Toronto Mom Bloggers - Nominated! 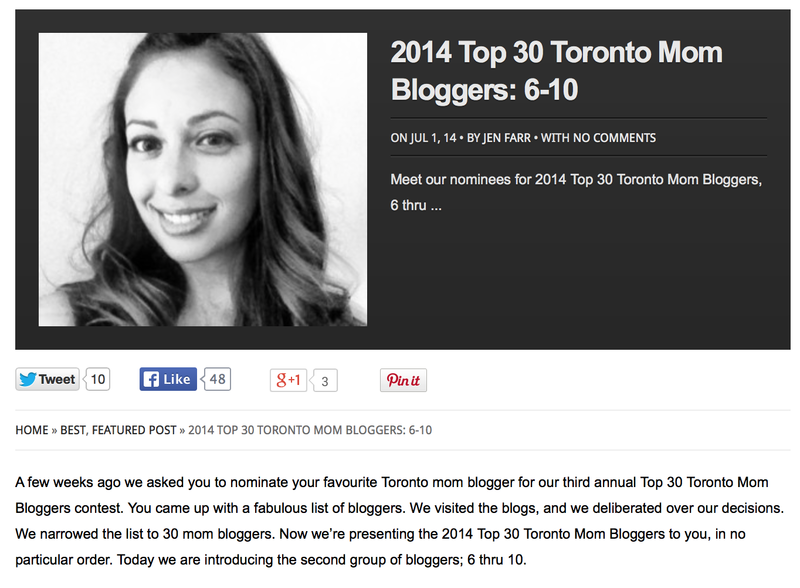 Not to long ago I found out that I was nominated as one of 2014 Top 30 Toronto Mom Bloggers! How exciting is that! From June 30th to July 5th, Toronto Mom Now will be featuring each of the bloggers and a little bit about them. The nominations took place from May 29th to June 12th and this week is feature week. The voting for the Top Toronto Mom Blog will start July 5th and end July 13th and the winner will be announced July 14th! I hope I can count on my amazing readers to vote for me! As you know, I have now invited my friend Stephanie to be part of the blog so it won't be all about me anymore! And thank you to all my guest bloggers who have contributed to the blog! I will update the post with voting information and links once it becomes available!